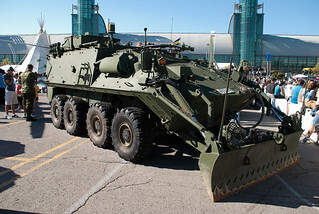 Combat engineering vehicle based on the Bison APC chassis with a front-mounted Scatterable Mine Clearance Device (SMCD). Thanks to Pte. Matt Kalil for the correction.